Send A Message To Cole. Cole’s prior practices consist of work with children/youth, couples, and families dealing with a wide variety of issues including, but not limited to: anxiety, depression, traumatic experiences, infidelity, anger and violence. The foundation of Cole’s work is based on the assumption that when people are mistreated or experience suffering, it is common to feel overwhelmed, sad, or unsure about what to do. It is at this place that he can be useful, and engage in meaningful conversations. Cole’s area of concentration is working with families (couples, children, and youth) who experience a wide variety of struggles and challenging behaviours. His work includes individual sessions, couples work, family therapy, and developing or implementing behavioural intervention plans. Cole works with children and their families experiencing a wide variety of challenges in a way that is systemic and honoring of everyone’s dignity. Cole believes that an individual can thrive when their family system is working in a manner to support them, and it is with this in mind that he provides sessions to couples and parents who are supporting children and youth with extra needs. Cole’s career has been as an elementary school educator and a counsellor. Specifically, he has experience as a mental health clinician and behaviour specialist which has provided him with unique insight into young people who use their behaviour as language, sometimes instead of their words. Working in the elementary school system for eleven years, Cole has developed an excellent understanding of the struggles that children , youth, parents, and families face. These struggles can often develop into feelings of anxiety, fear, anger and low self-worth. Cole works from the perspective of understanding abilities and strengths rather than ‘disabilities’, as well as family systems, rather than individuals. 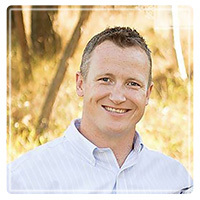 Cole is a Canadian Certified Counsellor (CCC) and he earned his Master’s Degree from Thompson Rivers University in Kamloops.